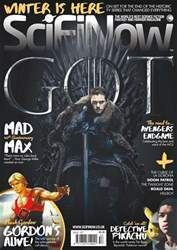 (0 Customer Reviews) | Write Review 13 issues per year Fresh, stylish and authoritative, the award-winning SciFiNow is the ultimate monthly guide science-fiction and fantasy. Offering exclusive behind-the-scenes features, on-set reports, A-list interviews and more, the magazine gives readers invaluable insight into the ever-changing industry. Every issue also includes a unique retro sci-fi section dedicated to the best – and sometimes worst – films and shows of sci-fi past as well as a section devoted entirely to the very best in SF literature making SciFiNow the best choice for anyone who’s ever wanted to wield a lightsaber. 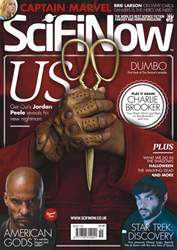 Looking for SciFiNow in print? 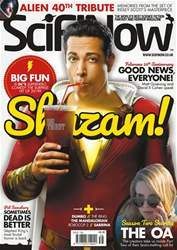 Unfortunately pocketmags.com does not sell print copies of SciFiNow, but all is not lost. Our partner at magazine.co.uk sells print subscriptions at the best prices online. Behind the scenes on the second half of The Walking Dead Season 3, on set for Oz: The Great And Powerful, and JJ Abrams breaks the silence on Stark Trek Into Darkness. Warwick Davis recalls the making of Willow, and those who knew him remember Thunderbirds creator Gerry Anderson. All that and more in the new issue of the world's best science fiction, fantasy and horror magazine! 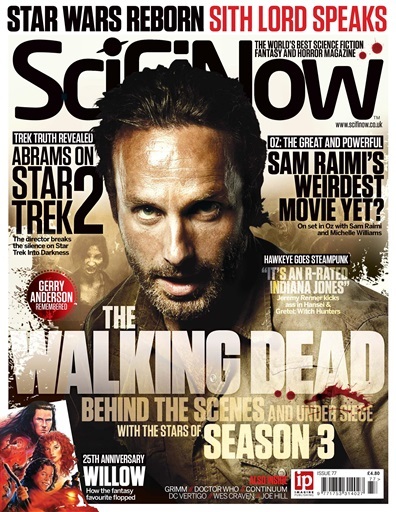 You'll receive 13 issues during a 1 year SciFiNow magazine subscription. 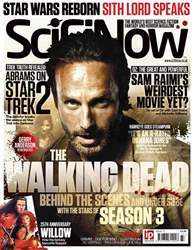 You'll receive 13 issues during a 1 year SciFiNow magazine print subscription.